Beaufort House is beautiful this Autumn! 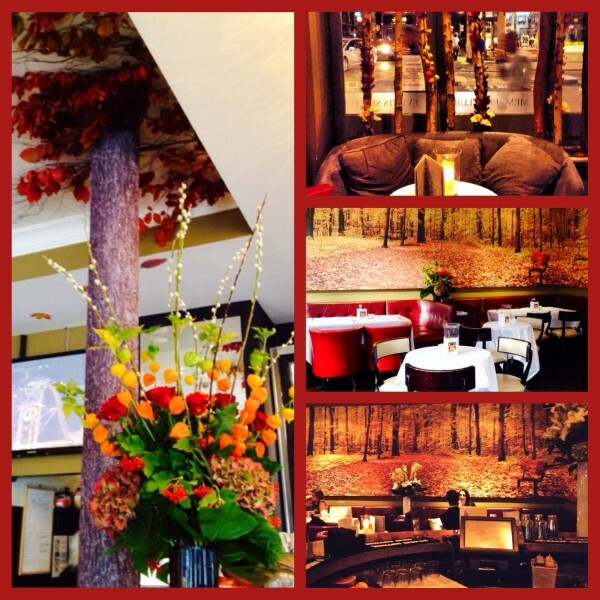 We all think it just might be – that’s why this year we’re celebrating Awesome Autumn at Beaufort House Chelsea by transforming our ground floor brasserie with a riot of autumnal colours, reds, oranges, golds and browns, making it warm cosy and the perfect place to sit back and relax morning, noon and night! Autumn is the time of year when the colder weather sets in, the days get shorter and we Brits tend to lock ourselves away behind our front doors, and start to think about hibernating for the winter! But just have a look around and you’ll see that Awesome Autumn’s deep shades make it a truly special time, when the world is suddenly washed over by a glaze of deep reds, oranges and yellows, a truly beautiful London Town is out there! What better time of year to get out and about, a walk along the Thames, or a stroll in Battersea Park followed a warming drink and some delicious dishes from our delectable new autumnal menus, shared with family and friends. So now that the nights are drawing in, the air is getting chillier and barbecues have long lost their appeal, embrace this wonderful time of year and enjoy hearty wholesome soups, perfect pies, and rich roasts at Beaufort House Chelsea. Awesome Autumn only lasts a short time, so don’t miss out. It’s a whole year till it comes back again!